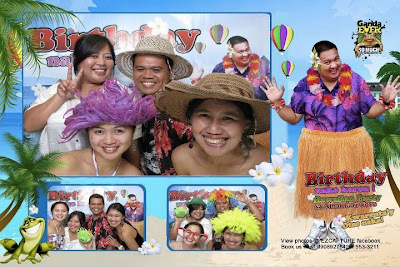 Last September 28, my favorite blogger - friend had celebrated his 48th birthday and with the Hawaiian theme. Thus, I had to rummage through my closet for some long floral skirt and top with matching accessories. So, the night was indeed filled with men on their floral polo's while the ladies on their floral tops or skirts with matching flowers and hats to complement. And, it wont be complete without some Hawaiian dance to top it all. Parties are now theme - inspired and we could only dress up and make fun. What Mask Should You Wear on Halloween?